Beautify your bathroom by installing this Duravit D-Code Floor Standing Toilet which is marvellous in both functionality and beauty. 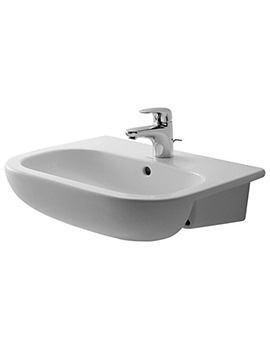 An eye-catching design from Sieger Design, it carries a pure white finish and is a washdown model with modern styling. 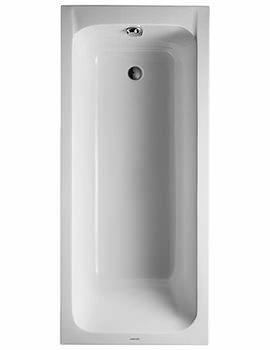 Dressed in a glossy white alpin finish, it has universal appeal. It is available at a very surprising price from our online store and is covered with a colossal 5-year warranty from the manufacturer. 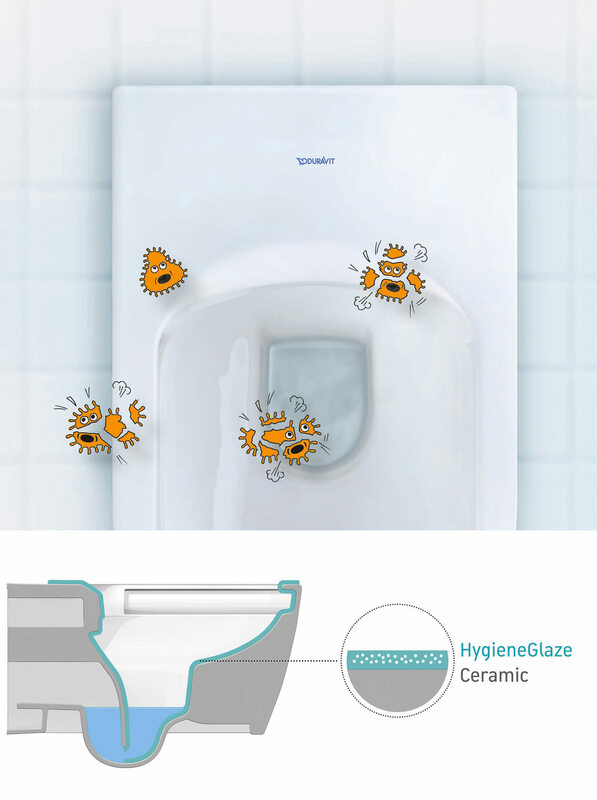 HygieneGlaze glaze, which defines a new standard of hygiene, it effectively kills bacteria and germs. The new development is not merely a surface coating but an antibacterial ceramic glaze that provides almost indefinite effectiveness. 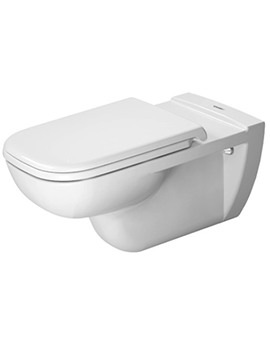 To match up perfectly with this toilet, Duravit bring in this toilet seat. Please note the image shown is for illustration purpose only. 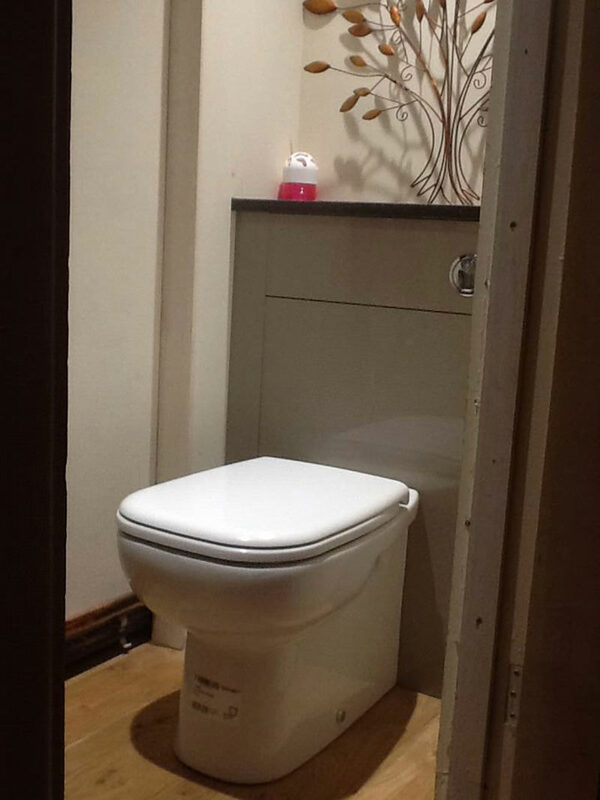 This is the second Duravit toilet that I have fitted in my house,I fitted a back to wall Duravit in my main bathroom and have now fitted the Duravit D to my downstairs cloakroom.The toilet is such a great product and being in the plumbing trade I have yet to find a better back to wal toilet both in quality and ease of fitting. The pan connector and flush pie fit so well due to the quality of the chinaware and its smooth precise finish. I am extremely pleased with my purchase from QS supplies and would recommend the duravit D to any of my customers. where is the flush mechanism with this toilet? 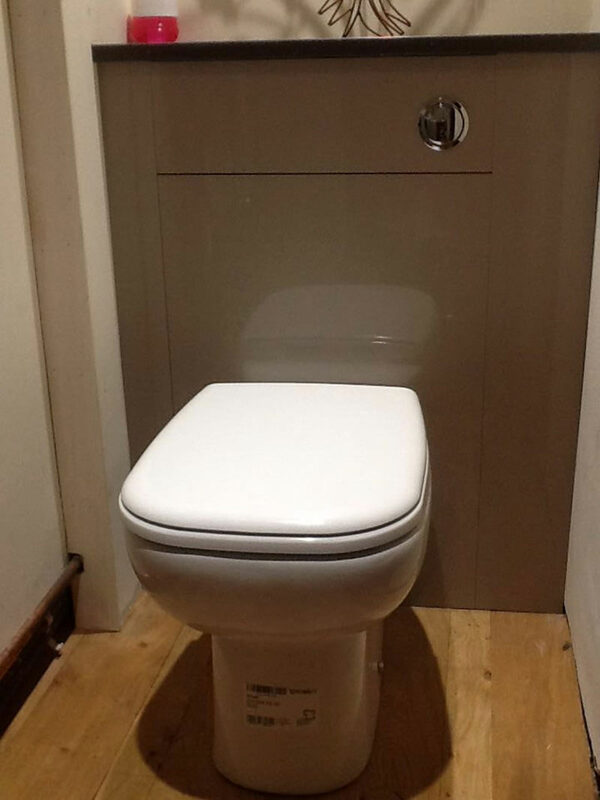 This would be a concealed Cistern and you have to buy it separately. Hi, I'm looking for a toilet with a vertical outlet. 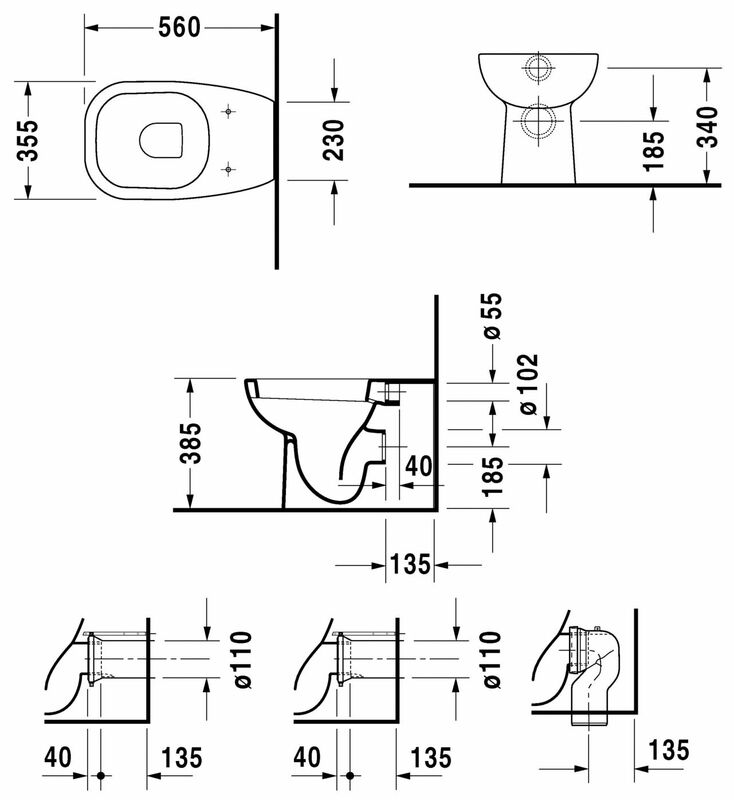 Can you let me know if the Duravit D-Code 355 x 560mm Back To Wall Toilet - 21150900002 can have a vertical outlet please? Thanks, Catherine. 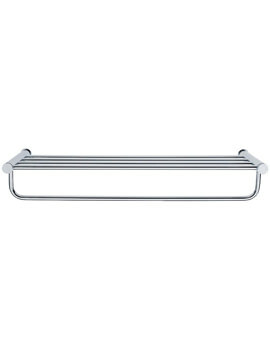 We do not do a pan with a vertical outlet which goes straight out of the bottom of the pan. You can buy the Vario Connection set, product code -001422 0000. This is attached to the outlet at the back of the pan and you can the use the bend in the connector to take it horizontally down. Can you let me know if a cistern and the flush button are included with this toilet, please? It says toilet seat isn't but there is no mention of the cistern or its technical information. 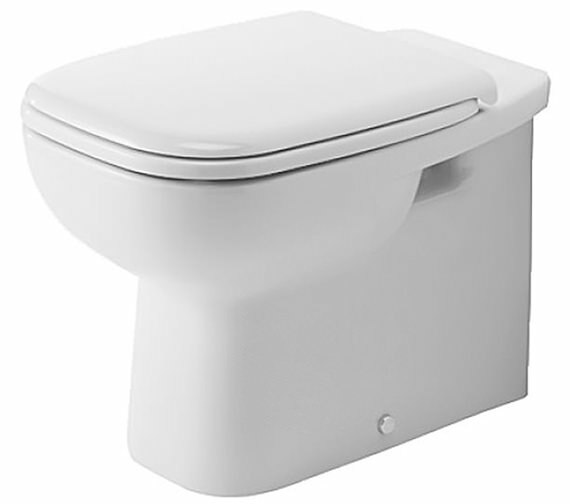 The cistern and flush plate are not included within this price.